First for the wet ingredients. Mash the bananas with a fork in a medium sized bowl, before adding the eggs, olive oil and maple syrup. Mix these together well, then add the dry ingredients. (Buckwheat flour, baking soda and salt). Gently fold these through until they are just combined. 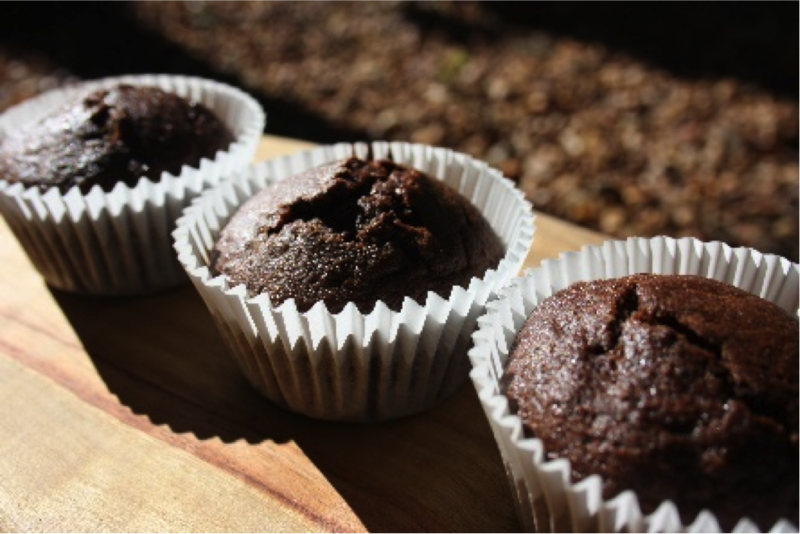 Spoon the mixture evenly into your prepared muffin trays, and bake in the oven for approx. 15-20 minutes. Do allow them to cool for 10 minutes or so on a wire rack before eating and sharing. This recipe is super easy, so if the kids or grandchildren are around, have them give you a hand. Fun times in the kitchen for all!